Heartis Yardley will be the first Heartis senior living community that Caddis has developed in the Mid-Atlantic states. YARDLEY, Pa., and DALLAS, Jan. 31, 2019 – In a continuation of its successful expansion across the country, Caddis® is introducing its well-known Heartis® senior living brand to the Mid-Atlantic states and to Pennsylvania. 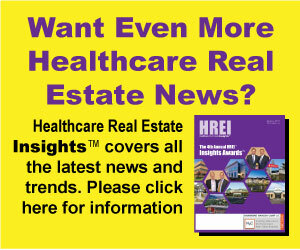 The Dallas-based healthcare real estate firm will develop its first Heartis senior living community in Pennsylvania at 1667 Dobry Road in Yardley, about 31 miles northeast of Philadelphia and just five miles from Trenton, N.J. Caddis closed on the 99-unit, 95,587 square foot Heartis Yardley Jan. 14. Ms. Cumings said Caddis also carefully considers the location for each new Heartis community, and found the 6.1-acre site off Oxford Valley Road in Lower Makefield Township to be ideal. Heartis Yardley will offer convenient access from Interstate Highway 95 and U.S. Highway 1. It will also be located near the Oxford Valley Mall, several hotels, restaurants and active adult communities. The two-story Heartis Yardley, which is slated to be completed in the summer of 2020, will offer 99 spacious assisted living and memory care apartments plus a wide variety of the finest amenities. This includes large, secured courtyards; beautifully landscaped grounds with gardens and walking paths; game and activity rooms; a wellness center; large, dining room serving chef-prepared, home-cooked meals; ongoing social and recreational activities; a beauty parlor and barber shop; relaxing common areas; and luxurious finishes. Special services will include a 24-hour emergency call system, nurse-supervised staff, housekeeping and laundry services, personal transportation, and assistance with personal activities. The new community will be operated by Pathway to Living, a Chicago-based operator of senior living residences. Pathway currently operates Heartis communities in Peoria and Orland Park, Ill., and will soon operate Heartis residences in Glendale and Brookfield, Wis., near Milwaukee. The architect for the project is Austin, Texas-based Katus, which has designed 15 Heartis communities. The general contractor is award-winning Wohlsen Construction Company, which is based in Wayne, Pa., and has more than 125 years’ experience in the U.S. Mid-Atlantic states. Caddis, a national healthcare real estate firm based in Dallas, launched the Heartis® senior living brand in early 2013 to reflect its mission of helping seniors live life to the fullest. In addition to Heartis Yardley, Caddis is currently developing or has opened Heartis communities in Atlanta, Suwanee and Fayetteville, Ga.; Orland Park and Peoria, Ill.; Brookfield and Glendale, Wis., near Milwaukee; Venice, Fla.; and in the Texas cities of Arlington, Bedford, Conroe, Fort Worth, Cleburne, Clear Lake, Cypress, Amarillo, Longview, Waco and San Antonio. Heartis communities provide high-quality, high-value services, programming and amenities; on-site personalized support; and inviting, caring home-like environments. For more information, please visit www.Heartis.com.